Telkomsel is the largest cellular operator in Indonesia with 125 million prepaid and postpaid subscribers in December 2012. At present, Telkomsel is 65% owned by PT Telekomunikasi Indonesia Tbk, a largest state-owned telecommunication company in Indonesia, and 35% by Singtel, a largest telecommunication company from Singapore. 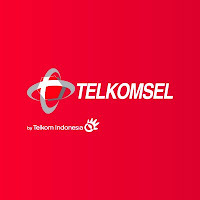 Telkomsel is based in Jakarta and has 435 customer service offices in Indonesia.